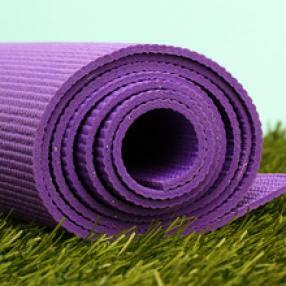 This class offers a basic introduction to yoga for herniation and other disc issues. It teaches the fundamentals of safe movement, yoga, and prop use necessary for participating in the open level herniation and backcare classes. Strongly recommended for students with disc issues who are new to alignment-based yoga. Level 1/Beginner friendly classes include gentle flow, joint-freeing, stress reduction. 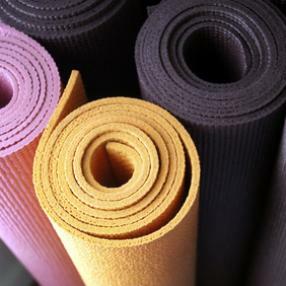 Experience yoga in a therapeutic and supportive setting to help improve your flexibility, balance, strength, breathing, relaxation and mind-body connection. This adapted style of yoga will meet the need of adults with a range of physical challenges, including joint replacements, spinal surgeries, neurological disease, arthritis, cancer, stroke, COPD, cardiac and more. Participants must complete a health survey and liability waiver prior to attending class. 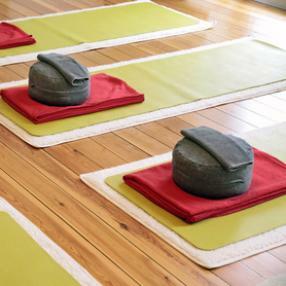 This is a seated, chair-based class with an option to stand and/or use a mat on the floor. After registration, please RSVP prior to each class. This class will teach students the component poses of a sun salute. It is excellent for new students and those with special needs as special attention will be made to modify poses and focus on alignment. Breath work and philosophy are integrated throughout. Tame the body and mind with this steady, breath-oriented yoga practice! Surrender to the freedom found in the link between breath and movement with a sense of great fluidity and spaciousness. This vinyasa flow yoga practice celebrates your body and movement, while respecting safe alignment principles. Be prepared to challenge yourself as you bring strength and flexibility to your body, cultivating release in your whole self. Fluid, gentle movements warm the muscles, and focused breath expels tension from any stress, negative thinking patterns, & toxins we are holding onto. Turn our focus to the seasonal changes and qualities of the climate both inside & out, listening to the innate wisdom through class thematic lens. Clear away a path to connect deep within, and move into a final meditation & restorative relaxation. 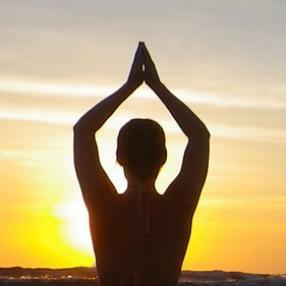 Expect an engaging, powerful, and bliss-laden experience while gaining a deeper connection with your body energy centers. In this class Julia works with problem areas of those who attend the class as well as overall toning and stretching and stress reduction.